A year ago I was a different person. It may sound cliché but in this case, it is true. It was true for many reasons. For one I was less confident within myself, and also always needed to be validated by someone or something just to feel good. The most important thing that changed though is my outlook on how I express myself and knowing that how I act was normal for anyone going through rough times to act. A year ago I met someone who I thought I clicked with. I was battling many things when I met him and the biggest battle was my mental health. My anxiety was bad to where I would have episodes of anxiety while I was at work, but of course, no one knew at the time since I was always good at playing it cool. Unfortunately, this also made way for a lot of deceit and manipulation. Every feeling I was expressing no matter how extreme it was would always end up with me being labeled as crazy and unstable. After that relationship had ended I thought I was the main one who was in the wrong for the longest time, and I thought that he was this good guy I lost because of my inability to control my inner thoughts and emotions. As months went on I slowly realized that I was not the bad person I was portrayed as, but instead, I was manipulated into thinking I was this crazy psychotic person. This realization did nothing but made me angrier at first. I felt like I was defeated and weak for falling for someone's opinions about me and what I was experiencing. I felt angry at the person who leads me to believe that my feelings were unstable which also caused me to contemplate on committing suicide. All these months I was made to believe that being anxious was unstable, getting mad meant I was crazy, and the list can go on. I spent months wanting to end it all because I was made to believe that since I was "unstable" everyone just tolerated me and I was unloved. After leaving the relationship and the toxic thinking I realized that everything I was made to believe was completely wrong. I learned that everyone is entitled to expressing their feelings, and as long as it is being channeled in a healthy way, everyone is entitled to have different kinds of emotions. In life, we are given various colors to paint our world, and even our vision is given the ability to see these various colors (unless you are color-blind of course). The colors we see in our world is also the color we see in our hearts, but instead of seeing the inner colors you feel those colors. In life, you are given various kinds of colors, or in this case emotions. As people get older and explore all the colors that they can paint their inner world, they also have a choice of which colors to keep and which to throw out. In my case, my last partner was dull. He only had one color and there was nothing new to see and no matter how much I tried to paint his world with a new color it would always stay the same. For me, it is totally different. No color goes to waste and every day is a new picture or pattern and every color is used at least once in my lifetime. In context, as humans, we have a choice to pick and choose the emotions we want to express. Some people may have a set of emotions they use in their lifetime, or like me, some will have a wild personality and use every emotion existent to mankind at least once. The people you have to avoid are the kinds of people who do not have a lot of emotions, because every time you paint an emotion you are feeling to that person, they do nothing but paint over those emotions you worked hard on feeling to where your mind, and soul will become a blank canvas. Emotions are like our inner canvas that we are free to use. Always share the colors that you paint yours and encourage others to share theirs, because at the end of the day emotions create a beautiful work of art. 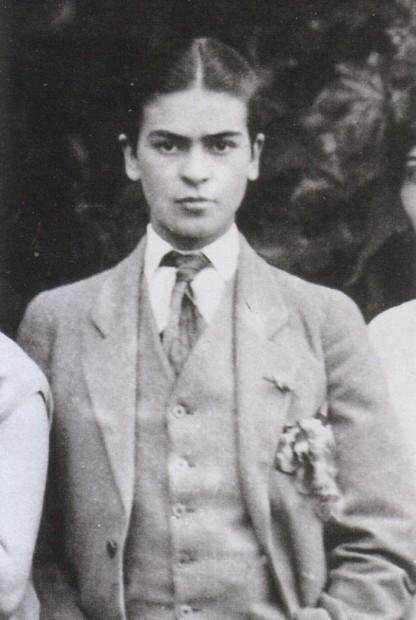 Frida Kahlo de Rivera was an artist born in 1907 in the city of Coyoacán, Mexico. She is celebrated for her work, primarily self portraits, which boasted originality with every stroke. 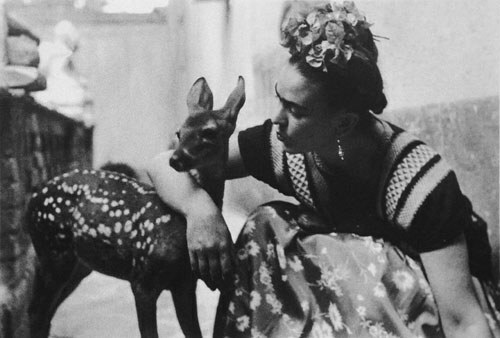 Kahlo expressed her deep rooted Mexican and indigenous culture in every single piece of hers. 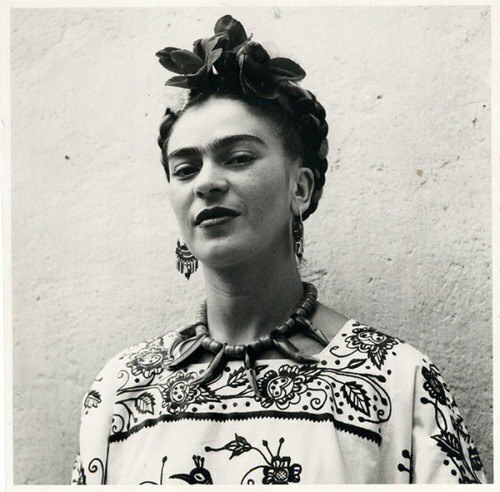 Recognizable by her bold eyebrows and her eccentric attitude, Frida Kahlo is the artist to know. 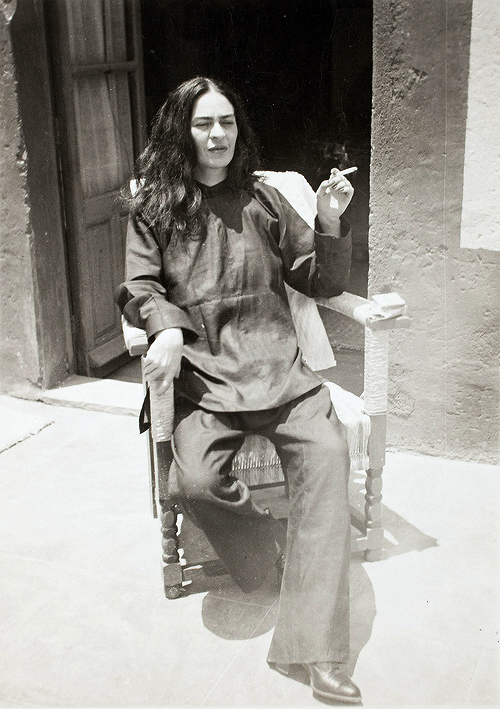 Frida Kahlo was radical in every sense of the word. She took it upon herself to purposely darken her facial hair as a statement. 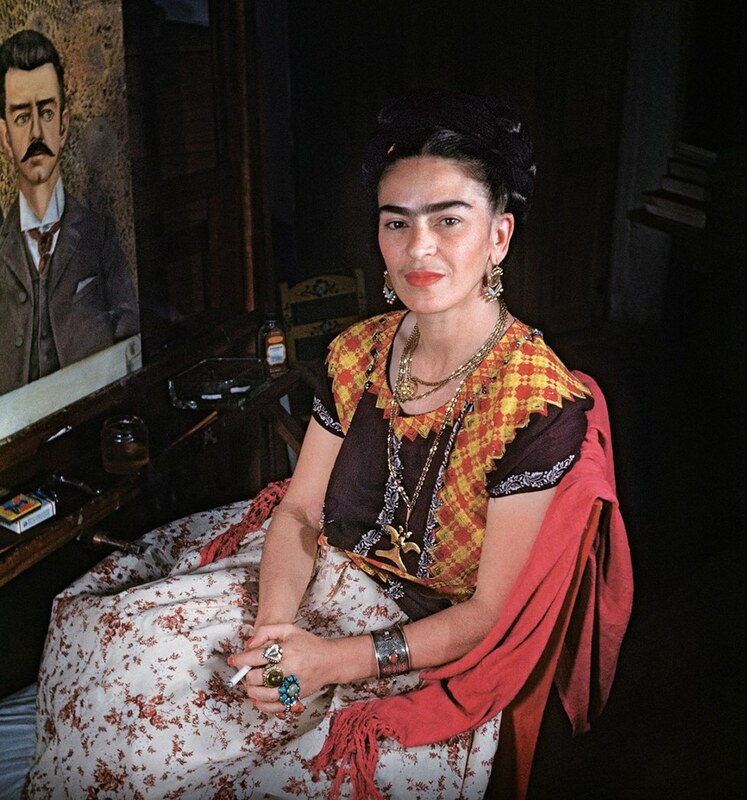 Kahlo didn't care to fit with the norm, she subverted to the concept of femininity and the idea that beauty meant having only Euro-centric features. 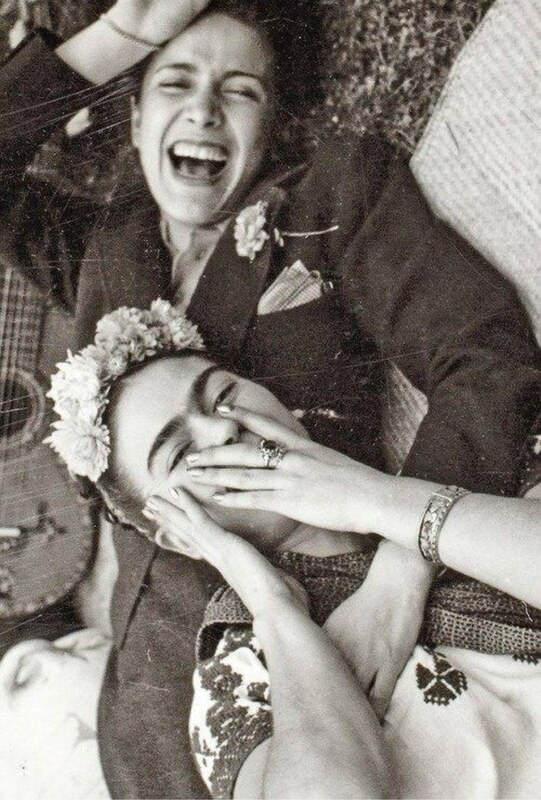 Kahlo ventured into different parts of herself quite often. In her time, women weren't accepted as being individuals who could be fluid with their sexuality. Of course, Frida Kahlo didn't care to subject to such restrictions. She said to have had a lot of lovers including Josephine Baker, Dolores del Rio, Paulette Goddard and Maria Felix as well as the prestige American painter, Georgia O'Keeffe. The artist incorporated her animals in many of her portraits. She owned a spider monkey, a fawn, birds, and a dogs throughout her lifetime. Frida Kahlo suffered from a lot of pain and downfalls due to a bus accident she was involved in as a young girl. It resulted in a severe spine condition and a lot of time laying in bed immobile. She painted as a pastime and deeply channeled her roots and hardships. The painting above showcases her internal thoughts after having suffered several miscarriages due to her physical condition. Sometimes the abstract artist cross-dressed as a political statement. "She dressed like boy with shaved hair, pants, boots, and a leather jacket" in attempt to create an eye-catching attraction that's hard to miss. Although Frida suffered a lot, she endured that pain until her late 40's. Frida Kahlo was involved in a bus accident that ending up essentially ruining her spine, because of the lack of proper procedures and medical equipment at the time. She was diagnosed with scoliosis, and she had consistent problems with her hips and knees. Kahlo spent a lot of time in a wheelchair or on bed rest where she created some of her best work. 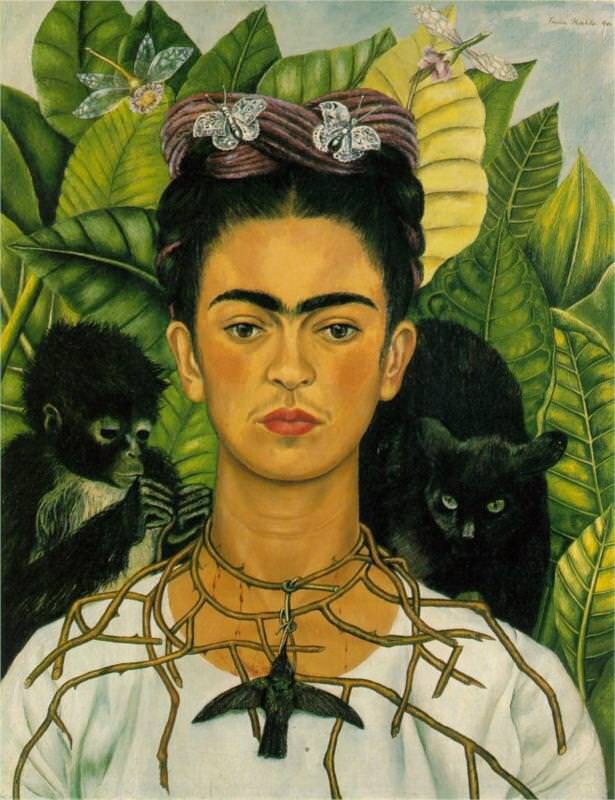 Frida Kahlo stated “I paint self-portraits because I am so often alone, because I am the person I know best.” She looked to herself to create beauty out of the abyss she found herself in. 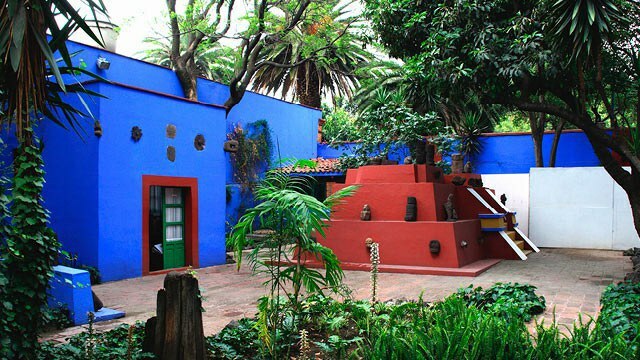 What is now The Frida Kahlo Museum was once Frida Kahlo's family home in Mexico City. It was nicknamed "La Casa Azul" or "The Blue House" because of it's beautiful vibrant shade of blue. Frida spent the majority of her life in that house, and so personal objects are left in their place as a look into her personal life. 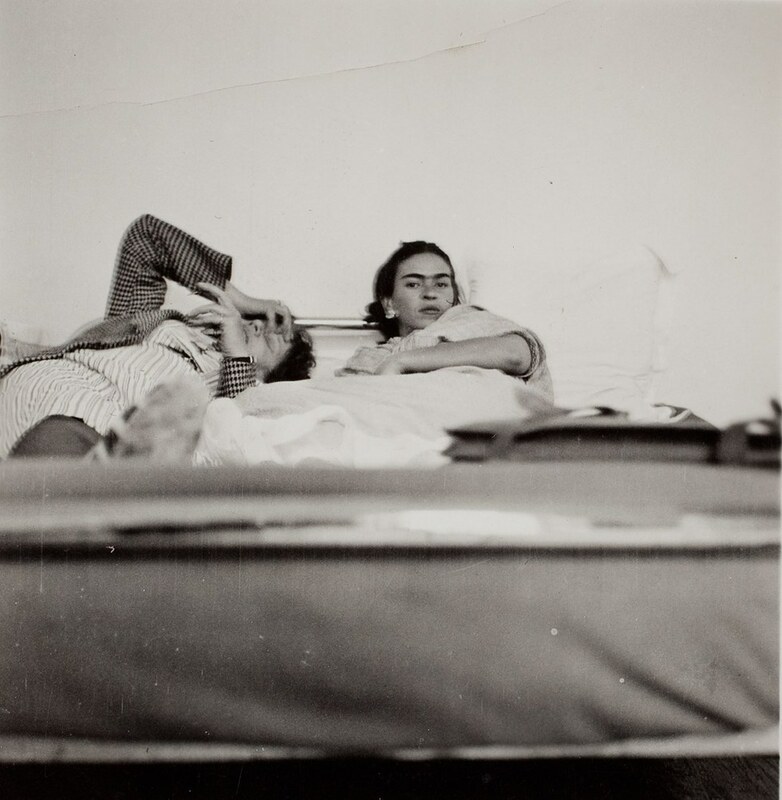 Although Diego Rivera and Frida Kahlo had a rough marriage, she loved him deeply. 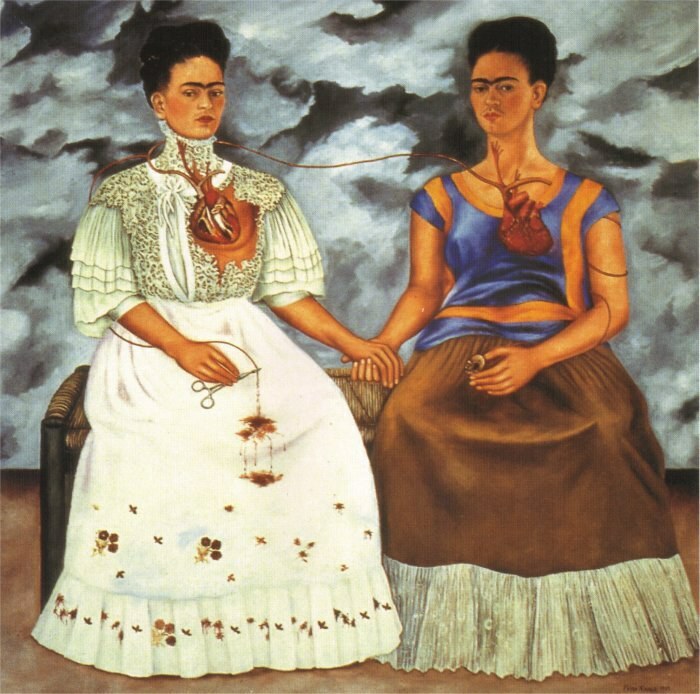 Kahlo was found herself separating from Rivera only to unite once more. She wrote about him and painted about him. One of her journal entries includes "I love you more than my own skin and even though you don’t love me the same way, you love me anyways, don’t you? And if you don’t, I’ll always have the hope that you do, and i’m satisfied with that. Love me a little. I adore you.” He wasn't good for her, and she was aware, but ultimately that didn't seem to matter. Frida Kahlo is truly remarkable. She acknowledged her insecurities and her flaws, and she created life and beauty out of them.There will never be an artist with such imperfect grace or original distinction.